Beaches Close to Chania Town - travellers ask us their questions about Crete and we are more than happy to help. Tips from the team at We Love Crete. Are there beaches in Chania town? I would like to stay in or close to Chania but in a place where it's easy and fast to get to the beach. 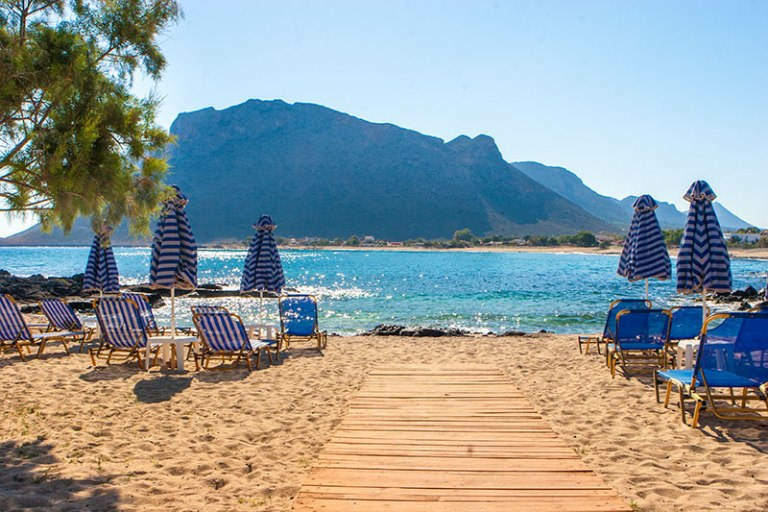 Yes, there are beaches within walking distance of Chania Town and easily accessible by taxi or local bus. There are beaches everywhere, so just take your pick, east or west there are lovely sandy beaches. There are busy beaches with bars and cafes and music and tavernas or quieter beaches. There are active beaches with sports or other ones for just lounging around, or protected bays for childrens' fun. And yet, as you will see below, you can also enjoy the beach very close by. 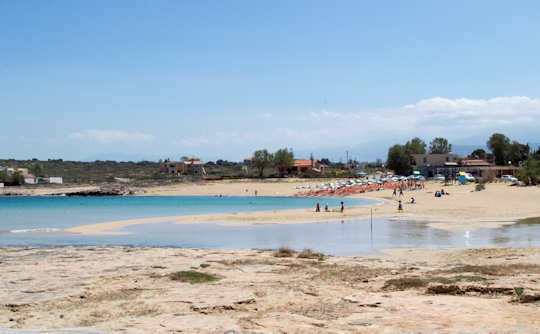 Here we show you the closest beaches to Chania town and some very close, within a comfortable bus or taxi ride. Or try Kouloura Rockpool or Stavros Beach to the east (where the movie Zorba was filmed). Nea Chora - this beach is just to the west of the Old Harbour and Old Town of Heraklion. You can walk from the Maritime Museum of the Old Harbour to this beach which is 800 metres. This is a sandy city beach with many good fish restaurants. Less than 1 km west of Chania town. Agioi Apostoloi - here you will find pretty protected coves with sandy beaches and a chapel (Saint Apostoli) on the peninsula. Visit Notis beach cafe and sit back and relax in the Greek summer vibe. 5 km west of Chania town. Agia Marina Beach - a busy long sand and pebble beach with many bars, cafes and tavernas, as well as hotels, apartments and restaurants. Enjoy comfortable visits to the beach and lots of water sports. 10 km west of Chania town. Maleme Beach - the western continuation of the same beach, long and wide and sandy with pebbles. Find some space here as well as cafes, beach bars and tavernas. 20 km west of Chania town. Stavros Beach - a dramatic scenic setting with a quaint cove and steep mountain, this is a collection of beaches with something for everyone. A safe shallow harbour for the kids and waves for the adults. 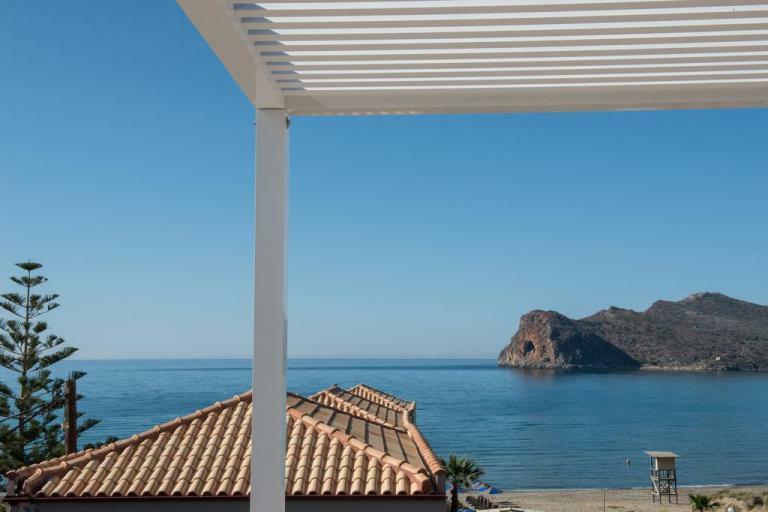 A relaxed seaside village with a sandy beach. 15 km east of Chania town. 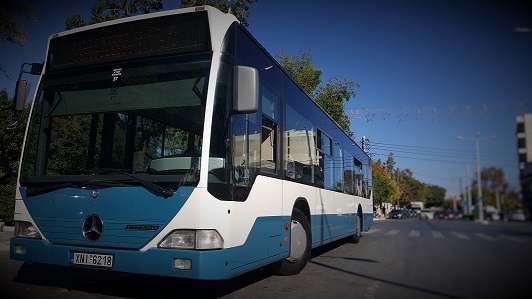 Take the local Chania Urban Buses (blue) for Agioi Apostoloi, take bus 21 from the town, departures are frequent. For Agia Marina, Maleme and Stavros Beaches take KTEL (green) buses. Nea Chora - why lose the character of the Old Town when you are so close? 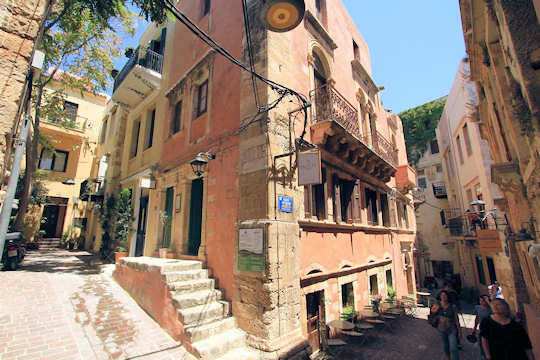 Walk less than 1 km to the beach from these historic Fagotto Art Residences located at the western side of Old Chania. 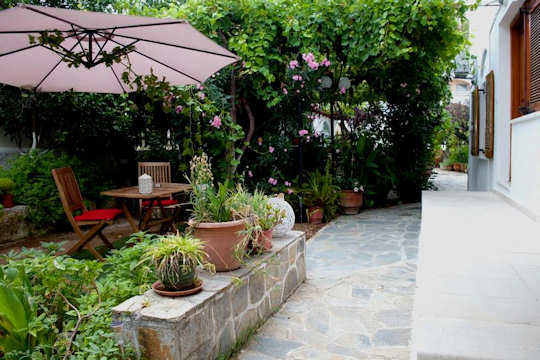 Agioi Apostoli - here you will be 3 minutes walk from the beach and enjoy the shady courtyard, comfort and hospitality at Katerina's Apartments. With a kitchenette for self-catering this is a wonderful summer holiday place with double or triple studios. Lovely gardens and close to everything. Agia Marina Beach - stay directly on the sandy beach at Vergina Beach Hotel - beach front access and sun loungers. The hotel restaurant serves breakfast, lunch and snacks. The cocktail bar serves cocktails, drinks and pizzas. Close to shops and restaurants. Kitchenette in your room, if you decide to self-cater. Swimming pool. Gorgeous, small and friendly accommodation on a funky, fun beach. Maleme Beach - just 100 metres back from the beach and across a small narrow local road sits the comfortable Villa Helios. Everything you need is here, yet you are walking distance from cafes, tavernas and the bus stop. This homely accommodation sleeps 7 guests in 3 bedrooms with 2 bathrooms. Guests said "Maria and Michael are the most charming hosts we ever met." In Stavros Beach be welcomed by true Cretan hospitality by Giorgos and his family at Skamagkas Apartments. Set back from the beach within easy walking distance, you will find affordable accommodation here with fresh local food from the family vegetable garden. Stavros Beach has plenty of taverns and cafes to enjoy, and you can go into town in half an hour. Fly directly into Chania Airport from many hubs in Europe, or with a 1 hour flight from Athens. 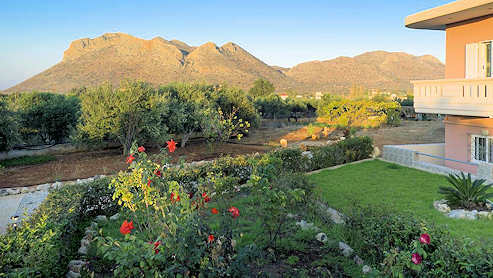 The airport is 15 km north-east of Chania town. Take an overnight ferry 9 hours from Pireaus Port of Athens to Chania Port. The port is 9 km south-east of town. Bus travel and taxi services are frequent and easy from both locations, see details below.